THE COMPANION: Julaybib RA - The Hidden Diamond Sunken in The Mud. Julaybib RA - The Hidden Diamond Sunken in The Mud. Rasulullah SAW, the best of mankind, exemplary " Uswatun Hasanah" in showing us the (sunnah) in dealing with others and other beings. The kind of love we should shower unto others as a Khalifah on this earth. Though one of the less known companions but not to within the companions in the early time of Islam, but not with Rasulullah SAW who knew him and like Julaybib RA. His name was acquired prior to his acceptance of Islam and is considered unusual and incomplete. In the Arabic language Julaybib means "small grown" being the diminutive form of the word jalbab, indicating that Julaybib was small and short, even dwarf-like. He was also described as being damim, meaning ugly, deformed, or not likened by many..
With Julaybib RA in mind, Rasulullah SAW went to an Ansari man and said: "I want to have your daughter married." "How wonderful and blessed, O Rasulullah and what a delight to the eye (this would be)," he replied. 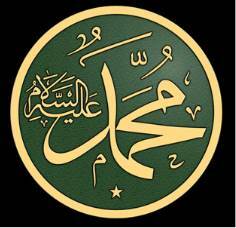 "I do not want her for myself," added Rasulullah SAW "Then for whom, O Rasulullah?" asked the man, obviously disappointed. "For Julaybib," said Rasulullah SAW. The Ansari went to consult with his wife, telling her of Rasulullah's desire for their daughter to marry Julaybib. His wife was repulsive, and protested saying "To Julaybib! No, never to Julaybib! No, by Allah , we shall not marry (her) to him." While the Ansari was preparing to inform Rasulullah SAW of what his wife said, the daughter hearing her mother's protestations, asked: "Who has asked you to marry me?" It is said that she the daughter was so beautiful that there was none among the women of that clan who could compete with her looks. She was so shy and modest that perhaps the sky itself had never seen her head uncovered. She had so much fear of her creator and piety, that she would spend her days and nights in worship. The daughter asked what was happening, she was told that Rasulullah SAW wants your hand in marriage for Julaybib. As the Mother continued her crying and wailing the daughter spoke she said, "O my Mother fear Allah SWT think of what you are saying are you turning away Rasulullah.. 'O my Mother it does not suit a believer to make their own decision once Allah SWT and his Rasul have decided on a matter. Do you think that Rasulullah SAW will disgrace us? How blessed is the status of Julaybib RA, that Allah SWT and his Rasul are asking for your daughters hand on his behalf. Don't you know that the angels themselves envy the dust on the feet of one who is a beloved of Allah SWT and Rasulullah SAW. Ask Rasulullah SAW to send me Julaybib for their is no greater privilege than for me to be blessed by such a husband, Rasulullah SAW has arrived with such a wonderful gift yet my Mother you cry and wail." She was married by Rasulullah SAW to Julaybib RA and they lived together until he was killed in an expedition. On the day of the expedition his father in law, had pleaded with him: "'O Julaybib this is just an expedition, it is not a compulsory Jihad, it is a voluntary Jihad, therefore you are newly married spend some time with your wife." Julaybib RA, the one who had spent a lifetime in despair had now found a loving wife. But he replied to his father In laws request and said, " 'O my father you say a strange thing, my Rasulullah is in the battlefield facing the enemies of Islam and you want me to sit at home with my wife, nay I will sacrifice my blood and my soul rather than see my Rasul facing hardship while I sit at home in luxury". Julaybib participated in an expedition with Rasulullah SAW in which an encounter with some enemies ensued. After that battle the Rasulullah SAW , asked his companions to go and to see if anyone was missing from their family's and clans. Each one returned accounting for all his family members. Then Rasulullah SAW spoke with tears in his eyes he said "But I have lost my Beloved Julaybib, go and find him." They found his diminutive body lying next to seven enemies he had slain in the battle. Rasulullah SAW asked for a grave to be dug, while Rasulullah SAW held the body of Julaybib he said. "O' Allah he is from me and I am from Him", he repeated this three times. The companions wept profusely "May our Mothers and Fathers be sacrificed for you O' Julaybib, how great is your status." Thus a companion who had once lived as an outcast, shunned by the society around him. He loved Allah SWT and his Rasul and reached such a high status. He who was not good looking was blessed with a beautiful wife, he who was poor was blessed by a wealthy wife, he who had no family or status, was blessed by a wife with noble status and lineage he who had lived in loneliness and despair, was loved by Allah and his Rasul ,He had Rasulullah say: " O Allah he is from me and I am from him." Julaybib RA 'The Lonesome one' had become a beloved of Allah, and his prophet, he was lonely no more. Such is the status of the lovers of the Rasulullah..As for his wife it is said that there was no widow whose hand was more sought after in marriage than hers. The Rasulullah SAW, however, considered Julaybib to be a dear friend, and was thus keen to help him. He set about trying to find him a wife, knowing that without his assistance, it was highly unlikely that his friend would be married. It was then that the Rasulullah SAW first approached the family of the sahaabiyah who would later become Julaybib’s wife. Her name is unknown, but her legacy and reputation precedes her. Both her father and mother initially mistook Rasulullah's request as his own, and when he clarified that no, he was not asking about marriage for himself, but for Julaybib, the sahabiyah’s parents were bitterly disappointed. Their daughter was a woman who was highly sought after by many wealthy and well-respected companions. Her parents perhaps expected this request to be, if not from Rasulullah SAW himself,but from Uthman RA or Abu Bakr RA, but not Julaybib RA. His name was unusual and incomplete. Julaybib means "small grown" being the diminutive form of the word "Jalbab ". The name is an indication that Julaybib was small and short, even of dwarf-like stature. More than that, he is described as being "damim" which means ugly, deformed, or of repulsive appearance. Even more disturbing, for the society in which he lived, Julaybib's lineage was not known. There is no record of who his mother or his father was or to what tribe he belonged. This was a grave disability in the society in which he lived. Julaybib RA could not expect any compassion or help, any protection or support from a society that placed a great deal of importance on family and tribal connections. In this regard, all that was known of him was that he was an Arab and that, as far as the new community of Islam was concerned, he was one of the Ansar. Perhaps he belonged to one of the outlying tribes beyond Madinah and had drifted into the city or he could even have been from among the Ansar of the city itself. "Do not let Julaybib enter among you. If he does, I shall certainly do (something terrible to him)." Probably because he was teased and scoffed at in the company of men, Julaybib used to take refuge in the company of women. Just as he was aware of the great issues of life and destiny, Rasulullah SAW was also aware of the needs and sensibilities of his most humble companions. With Julaybib in mind, Rasulullah SAW went to one of the Ansar and said: "I want to have your daug hter married." "How wonderful and blessed, O! 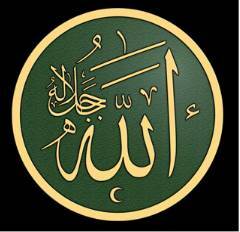 Rasulullah and what a delight to the eye (this would be)," replied the Ansari man with obvious joy and happiness. "I do not want her for myself," added the Prophet. "Then for whom, O! Rasulullah?" asked the man, obviously somewhat let down. "For Julaybib," said Rasulullah SAW. The Ansari must have been too shocked to give his own reaction and he merely said: "I will consult with her mother." And off he went to his wife. "Rasulullah , may Allah bless him and grant him peace, wants to have your daughter married," he said to her. She too was thrilled. "What a wonderful idea and what a delight to the eye (this would be)." she said. "He doesn't want to marry her himself but he wants to marry her to Julaybib," he added. She was flabbergasted. "To Julaybib! No, never to Julaybib! No, by the living Allah, we shall not marry (her) to him." she protested. As the Ansari was about to return to Rasulullah SAW to inform him of what his wife had said, the daughter who had heard her mother's protestations, asked: "Who has asked you to marry me?" "Now whenever Allah and His Rasul have decided a matter, it is not for a believing man or believing woman to claim freedom of choice in so far as they themselves are concerned. 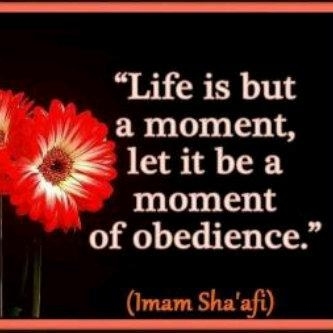 And he who disobeys Allah and His Rasul has already, most obviously, gone astray." (The Quran, Surah al-Ahzab, 33:36). "I am satisfied and submit myself to whatever Rasulullah SAW and Allah deems good for me." Rasulullah SAW heard of her reaction and prayed for her: "O Lord, bestow good on her in abundance and make not her life one of toil and trouble." "But I have lost Julaybib. Search for him in the battlefield." They searched and found him beside seven mushrikin whom he had struck before meeting his end. Rasulullah stood up and went to the spot where Julaybib, his short and deformed companion, lay. He stood over him and said: "He killed seven and then was killed? This (man) is of me and I am of him." In Julaybib RA, there is the example of a person who was almost regarded as a social outcast because of his appearance. Given help, confidence and encouragement by the noble Rasulullah SAW, he was able to perform acts of courage and make the supreme sacrifice and deserve the commendation of Rasulullah SAW: "He is of me and I am of him." Julaybib RA was an orphan from Madinah and acquired his name before embracing Islam. His name means "small grown" in Arabic which denoted his physical appearance. He was extremely short and could be compared to a dwarf when considering today's definition. It is also noted that he was even described as "damim" in Arabic which means deformed, unattractive or of repulsive appearance. In addition to his physical appearance, another important factor in his mistreatment had to do with his lineage. Lineage was an essential part in the Arab society he lived in, just as it is still important today in many cases. One's lineage determined his or her status in the society. His physical appearance, and unknown lineage, made people shun and spurn him. He was an outcast which caused him much public humiliation and disgrace. Facing such disdainful treatment, Julaybib was apparently a lonely soul yearning for love and compassion. As he was carrying the burden of prejudice on his shoulder from the time he was born, companionship, love and compassion became alien to him.There were often times, a question as to whether this man would even taste any compassion or respect in his life. The question cleared with his acceptance of the Prophet Muhammad's message of Islam. The Prophet went to a man of the Ansar and said:"Give me your daughter for marriage. "The man answered excitedly, "Yes, O Messenger of Allah , it would be an honor and a blessing. "For which the Prophet said, "I do not want her for myself. 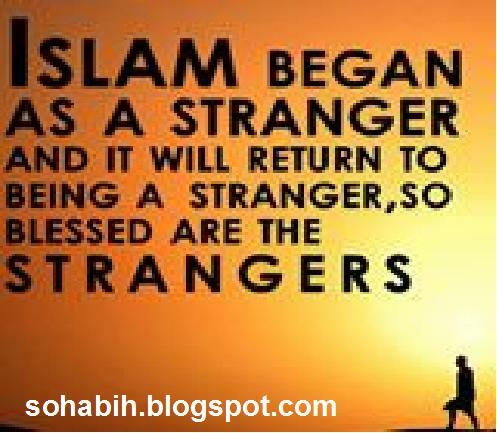 "The Ansari man asked, "Then for whom, O Messenger of Allah? "And the Prophet answered, "For Julaybib. "When the Ansari man heard this, he was shocked and said, "O Messenger of Allah, let me consult her mother." So he went to the girl's mother (his wife) and told her, "The Messenger of Allah is proposing marriage for your daughter. "The wife of the Ansari seemed overjoyed and said, "Yes, it would be a pleasure. "The Ansari explained to his wife that the Prophet was not proposing to marry their daughter for himself but he is proposing on behalf of Julaybib.His wife was almost shaken and immediately responded, "What! Julaybib? No, by Allah, we will not marry her to him." When the Ansari prepared to leave to meet the Messenger of Allah and mentioned to him his mother's disapproval, his daughter, a pious Muslim, asked her father, "Who is asking for my hand?" Her mother told her that the Prophet was asking her hand on behalf Julaybib. Their daughter instantly asked them, "Are you refusing to follow the command of the Messenger of Allah? Follow his command, for I will not come to any harm." The following is illustrated in the book Companions of the Prophet by Abdul Wahid Hamid: Hearing her daughter's word, the Mother's heart being filled with remorse said: "Stop my daughter, don't say another word indeed I have erred I repent and I repent a thousand times over for as of this moment their is no one who I would prefer for you than Julaybib." The following day the marriage was in place, Uthman and Ali, two of the Prophet's Companions, presented Julaybib a gift of money to help arrange the wedding reception, and to purchase necessary accommodation. So the Prophet married the beautiful daughter of the Ansari to Julaybib who was once rejected by the whole society. The attitude of the daughter of the Ansari was that of a true believer. The daughter's attitude shows her confidence of a Muslim woman who could not be influenced by the whims of the society. Unlike the parent's of today's world who are more concerned about status and money, her parents' reaction to her approval explains how Islam does not pressure a woman nor does it disregard her right to choose her husband. …. "Is anyone missing amongst you?" …..They said: "So and so and so." …...He asked them again: "Is there anyone missing amongst you?" …...They answered: "So and so and so." …...He asked them for the third time: "Is there anyone missing amongst you?" …..."But I see that Julaybib is missing." The Companions searched for him amongst those who had been killed and found him by the side of seven enemies whom he had killed. He had been killed. The Prophet came there and stood by his body and said: "He killed seven people. Then his opponents killed him. He is mine and I am his." The man whose life was filled with despair and struggles won the hearts and admiration of many through his pure intentions, traits, and love for Islam and the Prophet. It is really amazing to note how this man of small stature managed to hold a sword and kill his opponent. He was able to accomplish much chivalry through the Prophet's encouragement. There are so many lessons to be learnt from Julaybib's life. His story is a reflection of Islam. Islam ended his desolate world of disparagement.